As part of the course the Teachers in Training ( TTs) will have to acquire experience in Observing, Assisting and Teaching in group classes. The benefit of being part of this program is that there is great flexibility as well as opportunity for the Teacher Trainees to either observe/assist their own teachers or one of the Aditya Yoga School team. 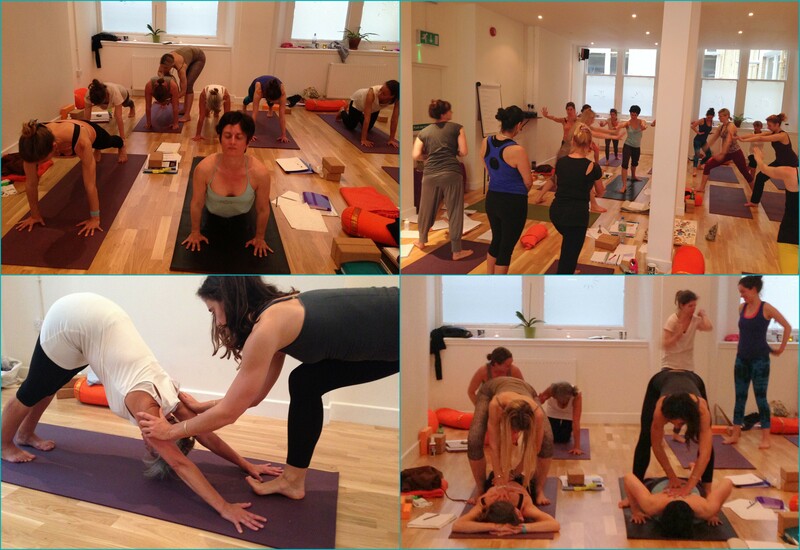 Me and Mentors (from the current and past years ) are all established teachers in London so Teacher Trainees will have of choice for fulfilling their Teaching Experience hrs with Yoga Alliance approved Teachers. Yoga Alliance Professionals offers insurance to TTs for very low cost so that they have the opportunity to teach their own classes in a safe manner even before they get their certificate. 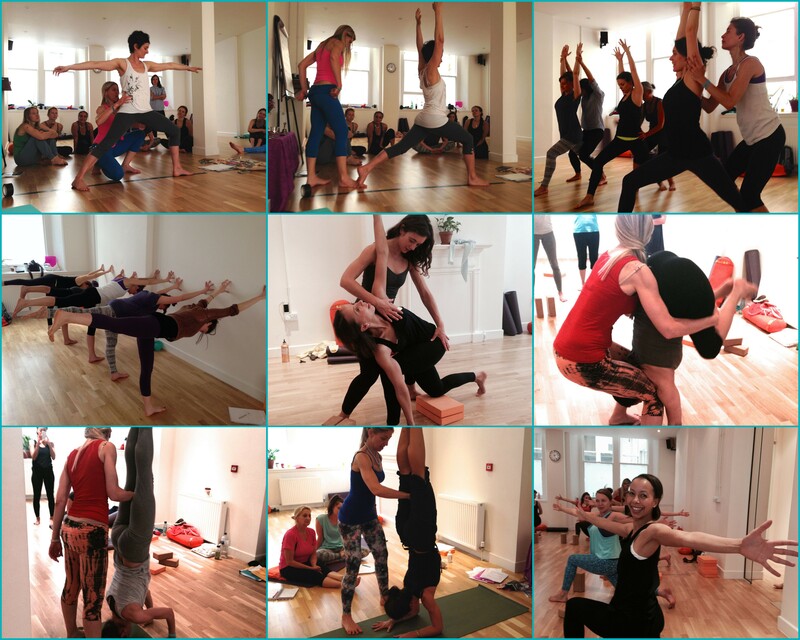 Aditya Yoga School has an ongoing yearly Apprenticeship program ( Assistant) that allows new Teachers to assist me in my public classes / workshops / events. This opportunity if offered to Aditya Yoga School qualified Teachers only ( 200/300 and 500 hrs Programs). Also, as part of the School, i offer a yearly Mentorship program that allows two to four more experienced teachers of the school to mentor on the RYS 200 Course. In exchange for the commitment to assisting or mentoring the Alumni on the program will gain insights and practice their teaching skills and refine their teaching techniques. Both Programs are offered as continued education for a yearly Registration fee of £ 108 and allows Apprentices and Mentors to expand the learning beyond the course and to build confidence as teacher with invaluable experience acquired in the field ( public classes, events and on Training). Apprenticeship: Federica Ciraci, Jenny Mitchell, Joanna Porter. Apprentices: Samra Hasanovich, Christina Sjostrom, Ellie Walsh, Katherine Proudlove, Rowena Alloush. Hello! I was wondering where this is actually located as I’m extremely interested in this, thank you! Yes Mariajrosa. At least for now but things do continuously evolve and I’m actually look for apprentice at the moment. Generally though this is offered to students of mind that I know and can trust. I would love to become an apprentice as I am 39 years old and I qualified as a RYT 200 hr yoga teacher in india 2011. I have been practising regularly for yoga for well over ten years so I have a lot of experience but as practioner but not as a teacher. Could I please get information on how to enrol. 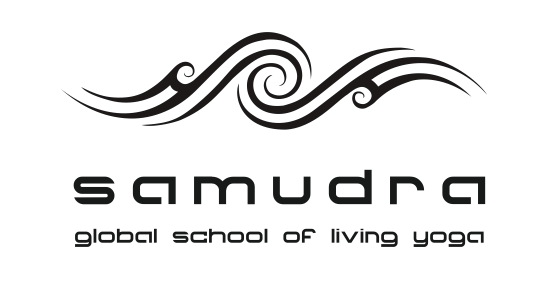 I am a newly qualified 200 hour yoga teacher obtained in Rishikesh, India. I would like the opportunity to apply for your apprenticeship scheme in order to assist and further knowledge and gain experience in teaching. I would be grateful if I could have further information on this.